Hours of fun and fresh air discovering this amazing area of the Highlands and Moray. It’s just the tip of the iceberg! Thank you for supporting Wee Adventure. 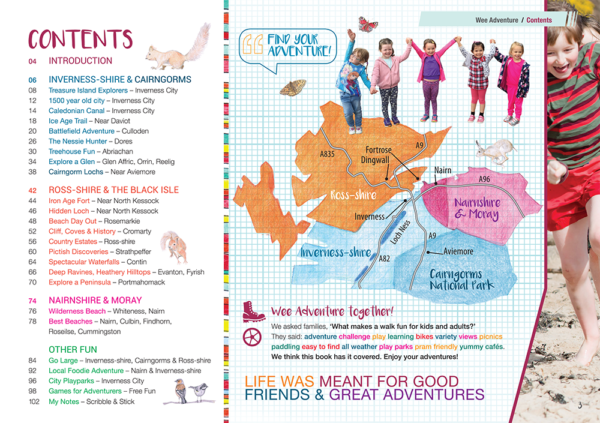 You can order your copy of Let’s go on a Wee Adventure here. Or, see the ‘Stockists’ tab below for a list of where to buy it locally. Cost per copy is £5.99 plus £1.30 postage and packaging (this will vary slightly with the number of copies purchased or if you are ordering a copy to be posted outside of the UK). It will arrive by second class postage so please allow 5 working days to receive your copy. If you need it urgently, please let us know and we will try to make you a priority! All profits from sales go back into the Wee Adventure charity. Each copy is A5, 108 pages, with a matt laminate durable cover and full colour pages throughout. Weight 320 grams. We hope you have many hours of fun and fresh air discovering this amazing area of the Highlands and Moray. It’s just the tip of the iceberg! Thank you for supporting Wee Adventure. If you are a retailer small or large, interested in stocking copies of Let’s go on a Wee Adventure please contact us. ISBN 978-1-9997036-0-8. First edition published in 2017 by Wee Adventure. 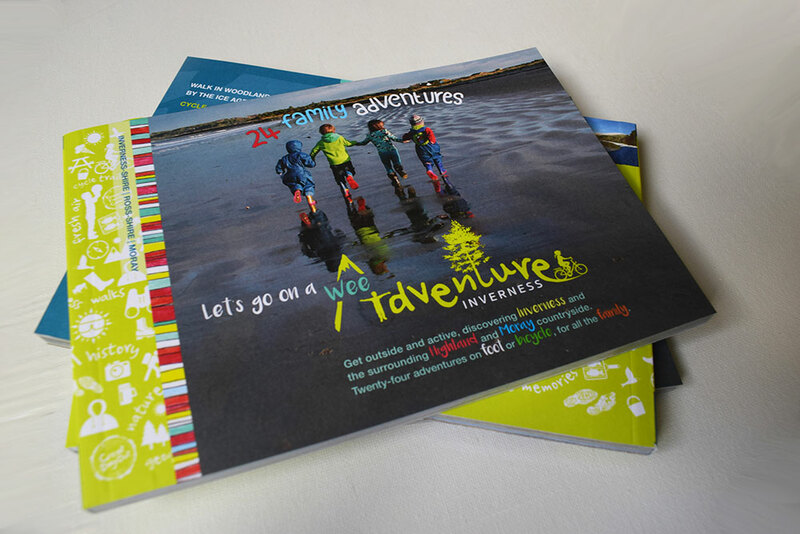 Printed by J Thompson Colour Printers Ltd, Inverness. Connecting children and families to our great outdoors, to have fun, get healthy and learn together.